« Is SeaWorld Making A Comeback? On May 13, 2018, the Mickey Mouse meet and greet in the Town Square Theater at the Magic Kingdom in Walt Disney World became decidedly less magical. Debuting in 2011, Mickey began making appearances on Main Street after Mickey’s Toontown Fair was demolished to make way for the New Fantasyland construction. When he appeared in his new photo spot, the story was now guests were going backstage to meet Mickey before he went on stage to perform a new magic show. More importantly, he could actually have a conversation with you! So… what happened to talking Mickey Mouse? We have a few solid guesses as to why Mickey no longer speaks to his guests. First, it’s important to know where this came from. 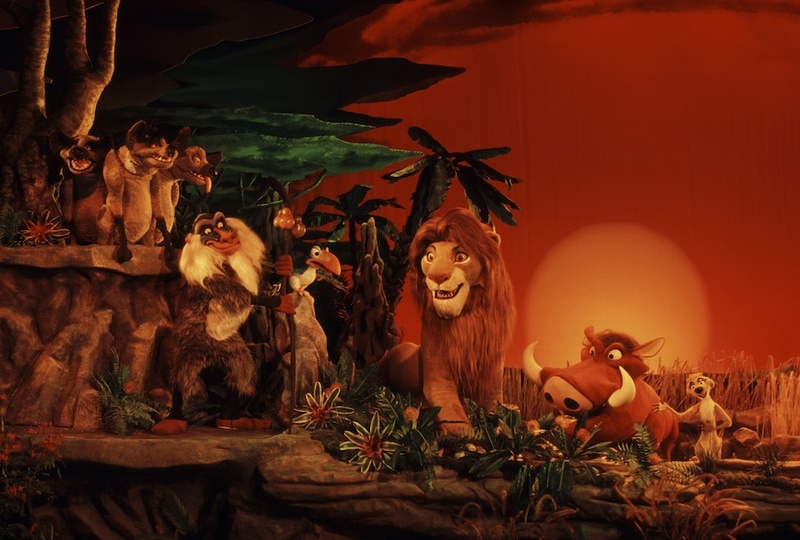 Costumed (or “fur”) characters began mouth movement at Walt Disney World starting with Rafiki in Legend of The Lion King debuting in the Magic Kingdom in 1994. Rafiki served as the narrator for the show and his mouth was manually controlled by the performer to the pre-recorded track of the show. Fast forward to the much-beloved Dream Along with Mickey at the Magic Kingdom at Walt Disney World. Not only was this show upgraded in 2007 to feature a talking Mickey Mouse, all the “fur” characters of this show were able to “talk” using far more advanced technology. The show was groundbreaking for theme park technology and more importantly, the challenge was on to create a version of these new articulated heads for meet and greets within the parks. Meanwhile, Disney was testing new ways to do traditional character meet and greets within their parks. Tinkerbell would play games with the children before taking photos. The idea was to not just take a photo with a guest, but to have a small interaction with them as well. Sure, at the end of the day, the photo is the “prize” guests take away from meeting any character at any theme park, but trying to make it special and interactive beyond just posing for a photo has been an ongoing challenge for any theme park. You can see great examples over the years with Donkey at Universal Studios and Dreamfinder at Epcot. The Town Square Theater was the marriage of these two ideas: an articulated head that could talk and blink in real time combined with a character interaction that went beyond taking a photograph. Mickey could ask about your day or even do a magic trick and respond to your answers in real time and it was extremely convincing. Instead of just taking a photo (which you also got at the end), guests were treated to a unique conversation with just their group. It really seemed like the perfect character interaction… in theory. So what happened to talking Mickey? Well, one could make an argument that this was a cost-saving measure. Indeed, the labor to execute such a thing had to be more expensive. The cost to create and maintain the new version of Mickey had to be far more than the traditional character meet and greets scattered around Walt Disney World. Plus, no doubt there was more labor used to execute this particular interaction. However, the cost is fairly minimal in the overall scheme of things. After all, Town Square Theater is considered an attraction just like the Haunted Mansion or even Finding Nemo: The Musical. The amount of labor it takes to run with or without talking Mickey would make a minimal impact on the overall budget compared to other attractions. You could also make the argument that consistency was a factor. 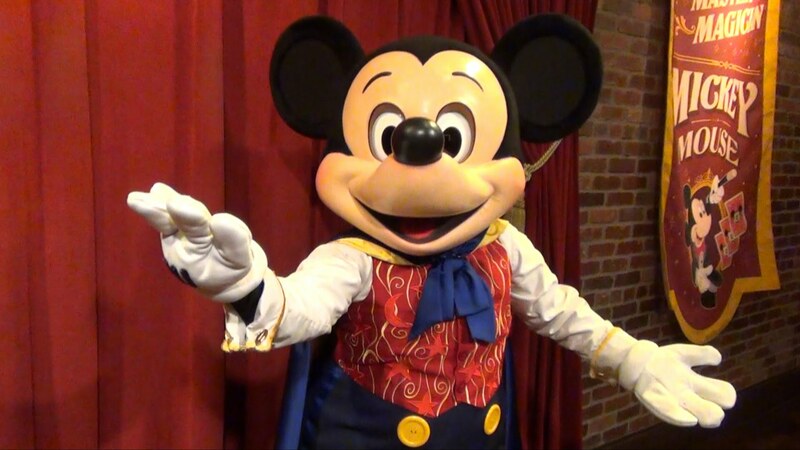 While you can certainly say that if a 5-year-old has a chat with Mickey backstage at his magic show in the morning and later that night he’s silent at Chef Mickey’s for dinner, that’s an inconsistency that younger guests can pick up on. However, you can poke all kinds of holes in character inconsistencies and we have done just that in this article we posted several years ago. Not buying that as a reasoning talking Mickey went silent. What makes the most sense has to do with patience. You can definitely draw a line where audiences have become more sophisticated over the years. Thus, they expect more of a character interaction than the traditional picture and moving on. You can also measure how little people are willing to wait for just about anything these days. Lines are the number one reason people hate theme parks (outside of price) and probably always will be. What happened to talking Mickey? We think it comes down to time spent waiting in line versus the reward of the interaction itself. If your party wasn’t lucky enough to snag a FastPass, wait times were often 45 minutes at the minimum and could reach up to 90 minutes or more during peak season. That’s just as long, if not longer, than what you would wait for an E-ticket attraction. More importantly, if you assume that most of the people waiting in that line are children under the age of 10, meltdowns ensue. Thus, it seems that guests didn’t think the reward of Mickey interacting with their family was worth waiting roughly double the time. They’d rather their kids not have a meltdown. More importantly, that extra time could be spent riding another attraction. After all, at a theme park, time is money. So there you have it. Could we see a talking interactive meet and greet again with a character like Mickey? Perhaps. If anything, the industry can learn from this and find ways to improve upon it. Anything from adding additional rooms where you can meet a character, to a more interactive queue or even a “lounge” like Universal uses at Race through New York with Jimmy Fallon. Hopefully, we will see another character meet and greet like this again somewhere within the theme park industry. Your thoughts? This entry was posted in Disney and tagged Character interactions, Magic Kingdom, Mickey Mouse, Walt Disney World, What Happened to Talking Mickey Mouse. Bookmark the permalink. Trackbacks are closed, but you can post a comment.